Cyber liability policies are a crucial 21st-century tool for cybersecurity professionals, but they come with limitations. The field of cybersecurity is changing constantly. Insurance companies are often not prepared to offer the product that truly covers the risks posed to your organization by a major cybersecurity breach. It is up to you to assess your cyber liability coverage to determine if the risks posed by your business are truly being covered in your current policy. Here are a few major limitations to watch out for when analyzing your company’s cyber liability coverage. This risk seems fairly simple when it comes to assessing your company’s cyber liability coverage. Traditional insurance needs used to be a simpler assessment: what’s the worst outcome my business can be liable for? Before the massive expansion of technology into our lives, those risk assessments were easier to understand: a flooded warehouse, an industrial accident, and so on. But, cybercrime data breaches provide a perfect example of the risks involved in your current policy. Target’s 2013 data breach cost many millions of dollars beyond what their policy covered. How did that happen? Well, data is both easy to acquire and expensive to lose. This is new territory for traditional insurance companies and the cyberprofessionals responsible for assessing risk. For this reason, it’s now more necessary than ever to continually reassess your company’s data and security in order to make adjustments to your cyber liability coverage. Evaluate your coverage frequently to potentially save your company immense sums of money. Cybersecurity is a rapidly changing field, and insurance companies are aware of that. Most policies require policy holders to take reasonable actions to keep their systems secure. For example, you may want to have some type of small business firewall in place. 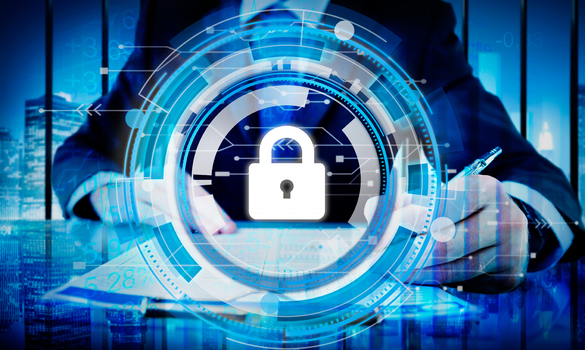 Insurance companies will not hesitate to examine your company’s security practices to assess whether or not you were adequately protecting your data in the first place. Since cybersecurity practices are continually being updated, failure to stay on top of these changes can result in an insurer denying any responsibility for covering a data breach. Stay on top of best practices to ensure that your cyber liability coverage remains in place in the event of a crisis. Cyber liability policies will generally cover events such a malicious attack, but they do not always cover every kind of breach. Many cyber liability policies do not cover omissions and errors that can result from incompetence. Pay close attention to what kind of events are covered in your company’s policy to see whether internal issues are covered in any way. An accident resulting from poor training or worker incompetence within a company can lead to millions in liabilities not covered by insurance. Check to see whether your cyber liability coverage extends to these kinds of events, and make adjustments if necessary. And of course, always keep your workforce trained in the most up-to-date cyber security procedures. Major cybersecurity failures will get the attention of regulatory agencies and the public at large, and many cyber liability policies do not cover all the costs associated with these issues. Loss of reputation can be very hard to assess in the event of a crisis, and most policies will not cover the loss of business associated with losing your customers’ trust. Furthermore, if the government gets involved and to investigate legal or compliance issues, the policies often will not cover the many legal and staffing expenses required in cooperating with an investigation. These losses can easily compare to the liability involved in a cybersecurity breach itself. Keep these external costs in mind when assessing your company’s cyber liability policy. Insurance companies frequently offer high coverage limits for third-party losses, but first-party costs can also be incredibly expensive. If you have proprietary technology that stores customer information, you might need additional first party coverage. The fallout from a cybersecurity breach can often involve conducting internal investigations or working with dissatisfied customers. Insurance companies often have lower coverage limits for these types of expenses, which will nevertheless quickly add up. Assess your company’s potential needs in the event of a crisis to determine if your current cyber liability coverage is enough. Cyber liability policies can be difficult to understand in comparison to more traditional insurance products. Because the field is constantly changing, you need to stay on top of your company’s liability coverage. Continually assess whether your policy truly covers the current scope of your company’s potential liabilities. Ensure that your organization stays on top of the current best practices and complies with all the requirements your insurance provider demands. Finally, keep in mind that cyber liability policies do not cover every kind of external cost that may result from a cybersecurity breach. If you can assess these risks, you will find it much easier to determine what kind of cyber liability coverage your company needs.